Honda, like others, is urging their car-owner customers to upgrade their current model to a new Honda in January. It claims that it’s not just because of the leading reliability, fuel economy, driving pleasure, and customer satisfaction for which Honda cars have long been renowned, but also because of an entirely new range of updated and redesigned models featuring attractive finance offers and highly equipped model upgrade options. It says that you can now drive away in a new Honda from as little as €189 per month, or upgrade to a higher specification model with increased features for less than you might think. Honda claims that a 161 upgrade programme is being launched at dealers across Ireland now, with highly equipped models, low CO2 engines, and great deals. 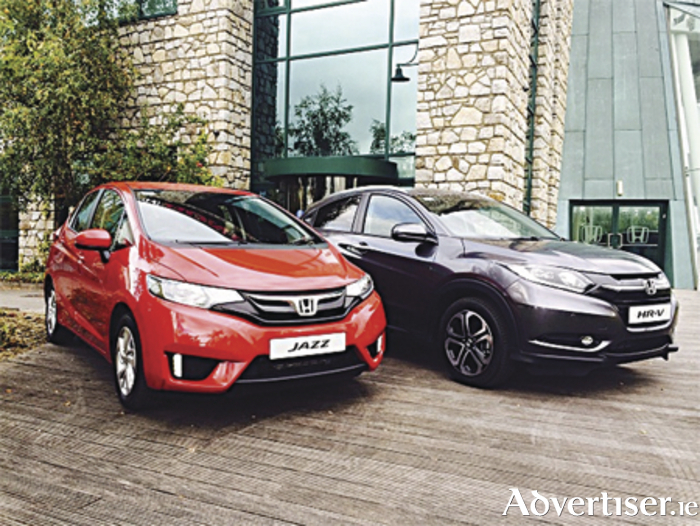 The newest addition to the range is the highly anticipated HR-V, a new compact SUV, which sees the return of a familiar nameplate to Irish roads. It has a good standard specification, including alloy wheels, climate control, bluetooth, cruise control, automatic lights, and city-brake active system. The all-new Honda Jazz is another new arrival in showrooms for 161. Designed to be small on the outside, yet spacious inside, the Jazz sets new standards for small car design. The all-new Jazz comes with a level of equipment which Honda says is unique in the supermini sector, including city-brake active system, air conditioning, auto lights and wipers, bluetooth, and cruise control as standard. The new Honda Civic range was recently awarded a Guinness world record for fuel efficiency. It has been redesigned, with the latest Civic model featuring a more dynamic new look, a sportier drive with standard agile handling assist, and high specification across the range. All Civic models now come equipped with city-brake active system, bluetooth, alloy wheels and climate control. Honda says that buyers can also upgrade to the higher spec Civic sport for a keen finance rate. The class-leading CR-V SUV has also been recently redesigned and Honda says that it offers award-winning economy in the sector, great reliability, and customer satisfaction.